Archaeological treasures of Saudi Arabia exploring five chapters in the history of the Arabian Peninsula, spanning early prehistoric settlements; maritime exploration; caravan trading routes; routes of holy pilgrimage emerging in the 7th century CE; and the social and economic developments between the 14th and 16th centuries. At Louvre Abu Dhabi, until February 16. Entry included with museum admission fee of Dh63. Tours available daily at 3pm from Dh30. louvreabudhabi.ae. A girls’ night-out at the Club Vista Mare on the Palm Jumeirah with The Tap House offering groups of six ladies or more a 30 per cent discount on food (minimum spend Dh100 per person) plus four free beverages every Tuesday from 4pm to 7pm. At Abyat, its three free beverages plus 30 per cent discount on the a la carte menu all day and night on Tuesdays and Wednesdays; and at Simply Italian get three free beverages and 25 per cent off on their a la carte menu from 7-11pm on Mondays and Tuesdays. facebook.com/ClubvMare. 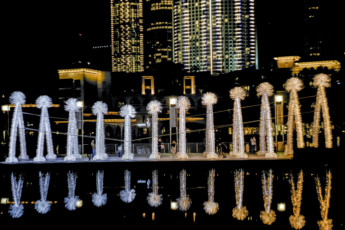 Marking its debut at the 24th Dubai Shopping Festival (DSF), Light Art DXB is captivating crowds at Burj Park Plaza in Downtown Dubai. 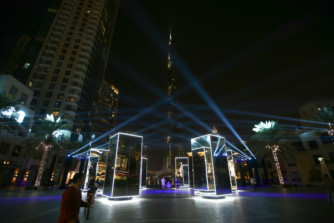 The attraction reflects light over nearby landmarks, including the Burj Khalifa, with the six dynamic sculptures transforming under a kaleidoscope of projected light. The bespoke installation, masterminded by Dubai based technical designer John Jossifakis in collaboration with Frankfurt and Athens based lighting designer George Tellos, is on display until February 13. mydsf.ae. 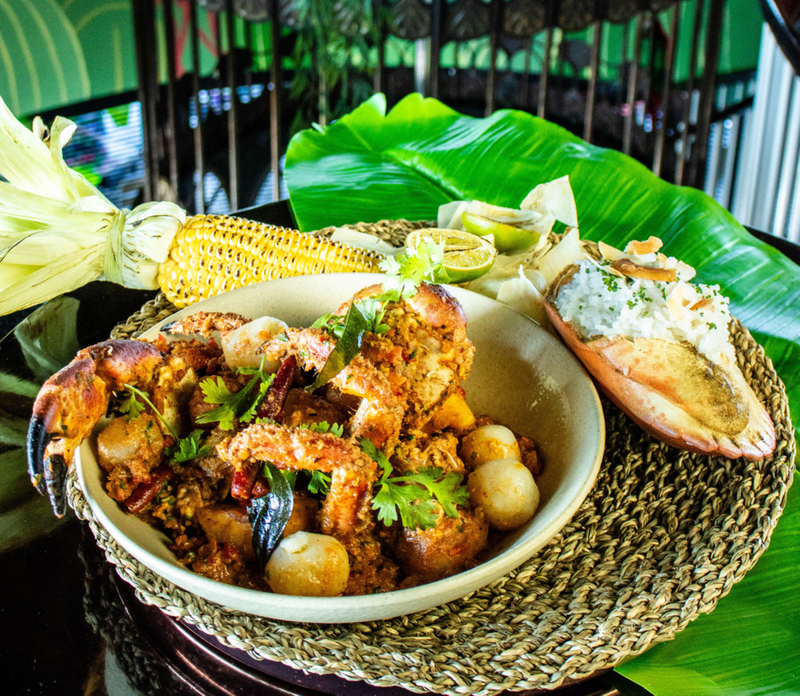 Grab your headdresses and accessories and get ready to samba as Hotel Cartagena is hosting a tour of carnival culture, providing sounds, smells and tastes of Latin culture.Kicking off today is the Trinidad & Tobago experience bringing Creole flavours. Brunch from 1.30-4.30pm at Dh295 for the soft package and Dh395 for the house package, dinner from 5.20pm till late. Call 04-5601799. Music lovers looking for a night out are in for a treat with Amp’d Tuesdays open mic sessions and deals on food and beverages, every Tuesday at Maxx Music Bar, Citymax Al Barsha at the Mall. Shukran and Emirates platinum cardholders get a 50 per cent discount on select food and beverages, musicians will get 30 per cent off their total food bill. From 9pm to midnight. Call 050-1007046. 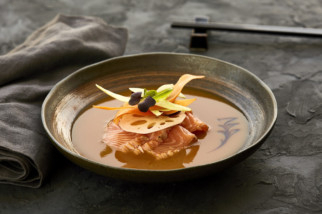 Summersalt at Jumeirah Al Naseem has launched a Japanese fusion pop-up concept, created at the hands of Japanese/Argentinian Chef Cristian Goya. Open for lunch and dinner, it fuses Japanese cooking, with flavours of South America, alongside a selection of Japanese-inspired beverages, served on the shores of Madinat Jumeirah’s private beach. Call 04-3667680. Explore a career in the UAE arts sector by volunteering with Tashkeel during Art Dubai 2019, taking place in March. If you are a dedicated art enthusiast, join in for an informative briefing session at Youth x Hub, Emirates Towers, Dubai, 5-8pm. Workshop is free of cost. tashkeel.org. Launched to encourage families to enjoy exercising together, Race.me is launching the first Dubai Canal Run. Families can enjoy a fun day out by participating in the 1k, 5k or 10k routes, taking place on February 15. From Dh50 for kids and Dh150 for adults. dubaicanalrun.com. In need of some pampering? head down to Qua Spa at Caesars Bluewaters Dubai, where guests can experience a free 30-minute Iyashi Dome trial session, a treatment device inspired by traditional Japanese practice, ‘Suna Ryoho’ where locals bury themselves in the sand near hot springs on the beach to eliminate toxins – it deeply cleanses the body, restores its balance and has slimming effects. Available until February 10, prior booking not required. Call 04-5566666. Girl time for Dh130, inclusive of six select beverages from 11am to 6pm while lounging on a free day bed, first-come first-serve basis, at Nikki Beach Dubai. Also, Hala China is hosting a TV cooking competition that will see 10 top master chefs from China and 10 UAE-based chefs go head-to-head in front of a live audience, with Dubai’s restaurateurs and foodie influencers judging the outcome. The chefs, split into five teams of two, will have just 20 minutes to whip up an appetizer, a soup, a main course with meat, a vegetarian main course and a dessert. Call 04-3766162. nikkibeach.com. Bistrot Bagatelle, the French bistrot is throwing it back to the 2000s with a special edition of Le Mardi C’est Permis. 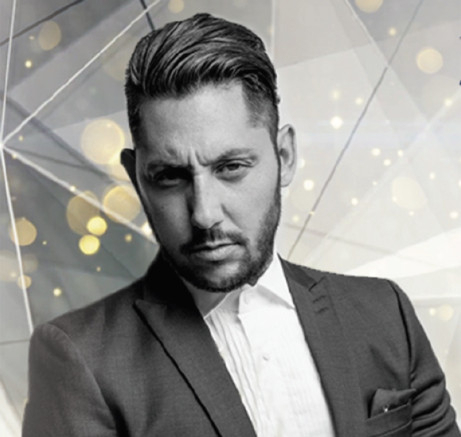 The French night will include a live performance from one of France’s popular singer K-Maro, serenading the crowd with his greatest hits. Sing along to Femme Like You and Crazy. At The Fairmont Hotel, Shaikh Zayed Road, 8pm until late. Call 04-3545035. City Centre Sharjah and City Centre Fujairah brings the virtual reality game to its shoppers. Players are challenged to cross a rope bridge stretched between two balloons flying over UAE in virtual reality, as the game progresses players have to catch logos falling from the sky, collecting 50 logos within 90 seconds, to win prizes. Spend of Dh200 required.